Associazione Mendelssohn organizes the International Composition Prize “Michele Novaro”, conceived by Hon. Lorenzo Becattini, with the support of Italgas. Michele Novaro (1818-1885) was the composer who, at the age of 29, wrote the music for the Italian National Anthem on a text by Mameli. The competition aims to stimulate composers to create “works” able to reflect on Italian identity and culture. The project will include three editions, based in the three cities which were capital cities of Italy: Turin (2016), Florence (2017), Rome (2018). The Competition is open to composers of all nationalities, who on 30 September 2016 are still under the age of 30. Candidates should submit to the jury a composition for Ensemble (from 7 to 15 players), lasting between 7 and 10 minutes, which is inspired by the values and themes of the Italian constitution. In particular, composers should focus on the theme of the “Italian landscape”, which lies at the basis of article 9 of the Constitution. Associazione Mendelssohn conceived and produced an application for iPhone and Android mobile phones and tablets, called “i-Mendelssohn”; It has been realized in 2012 by Ubyweb & Multimedia in three languages: English, Italian and German, in co-production with Mendelssohn Stiftung Leipzig. 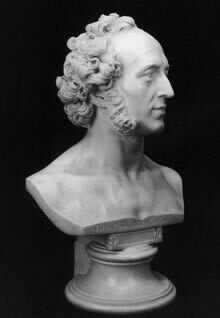 It includes some biographical notices, the updated list of works, a comprehensive bibliography and discography, some pictures of Mendelssohn and his family, some mp3 audio files of Mendelssohn's most famous music and a quiz game about Mendelssohn's life and music. This up-to-date documentary about Felix Mendelssohn is based on the original letters of the composer and his sister Fanny, combined with numerous evocative period images. Through a blend of music and words, the most distinguished Mendelssohn specialists of today guide viewers through the composer’s fascinating life and career. The various themes covered include his training, his religious and cultural identity, his journey to Italy, his rediscovery of Bach, his years in Leipzig, the relative neglect of his music following his death, his readmission to the canon of Germany’s greatest Romantic composers, and the recent unearthing of many unpublished works. Produced by Angelo Bozzolini, Luigi Melecchi and Roberto Prosseda, Directed by Angelo Bozzolini. Recorded at Palazzo Chigi, Ariccia (Rome), Sala da pranzo d'estate. - May 4, 2009, Roma, Università La Sapienza, department of Storia della Musica. Lecture by Roberto Prosseda “I manoscritti di Mendelssohn: filologia e interpretazione”. - July 2 and 3, 2009, Ninfa (Italy), Festival Pontino. Symposium on "Restauro in Musica", focussed on the reconstrution of Mendelssohn fragments. With Claudio Strinati, Quirino Principe, Mario Bortolotto, Raoul Meloncelli, Pietro Zappalà, Alessandro Solbiati, Gilberto Bosco, Gabrio Taglietti, Enrico Fubini. - June 3, 2009, Milano, Teatro dal Verme, Serate Musicali. Mendelssohn recital. - June 11, 2009, Vicenza, Teatro Olimpico. Mendelssohn Chamber Music Concert, including the World Premiere of Variations in A major (1830) for cello and piano. - June 16, 2009, Lecce, Teatro Paisiello, Miami Piano Festival, Mendelssohn recital. - June 28, 2009, Portici, MozartBox, Concerto with Young Janacek Philharmonie conducted by Jan Latham Koenig (Mendelssohn). - July 2, 2009, Roma, Accademia Filarmonica Romana. Incidental Music for A Midsummer Nights' Dream for femail chorus, solos and piano four hands. - July 4, 2009, Sermoneta, Castello Caetani, Festival Pontino. Piano Recital with Mendelssohn fragments reconstructed by contemporary composers. - July 12, 2009, Abbazia di Fossanova, Festival Pontino. Concert with Steven Isserlis, Sonig Tchakerian and Roberto Prosseda (Mendelssohn's chamber music). - December 6, 2009, Roma, Quirinale. Concert with Viotti Chamber Orchestra. (Mendelssohn String Symphonies and concerto for violin, piano and strings). - December 18, 2009, Milan, Conservatorio. Screening of the documentary “Mendelssohn Unknown”. Introduction by di Quirino Principe. - June 14, 2014, Berlin, Jewish Museum. Mendelssohn Recital with Roberto Prosseda (including the World Premiere of Luca Lombardi's “Mendelssohn im Jüdisches Museum Berlin”). - October 20, 2014, Madrid, Istituto Italiano di Cultura. Mendelssohn Piano Quartets (broadcast by Radio National Española). - October 24, 2014, Warsaw, Mendelssohn Piano Quartets. - February 13, 2015, Munich, Gasteig, Carl-Orff-Saal. Piano Recital with Roberto Prosseda. - April 18, 2015 Ancona, Teatro Sperimentale. Concert with Mendelssohn Piano Quartets. - April 19, 2015, L'Aquila, Auditorium. Concert with Mendelssohn Piano Quartets. - July 10, 2015, Venezia, Teatro La Fenice. Concert with Orchestra d'Archi Italiana, Gilles Apap (violin) and Roberto Prosseda (piano). Mendelssohn, Concerto for violin, piano and strings.